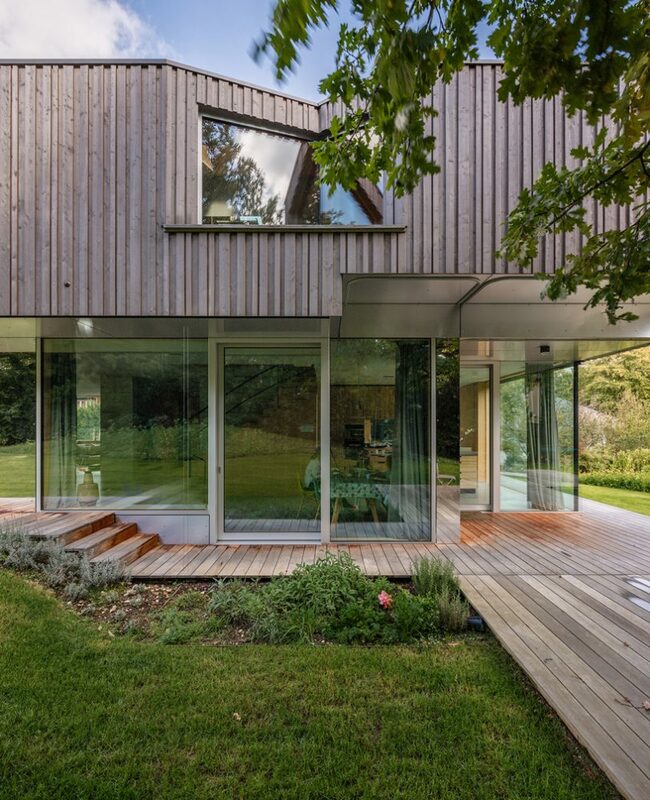 architecture in germany surveys the contemporary condition of the country’s built environment, showcasing a range of innovative projects and the diverse materials and unconventional forms employed in their construction. 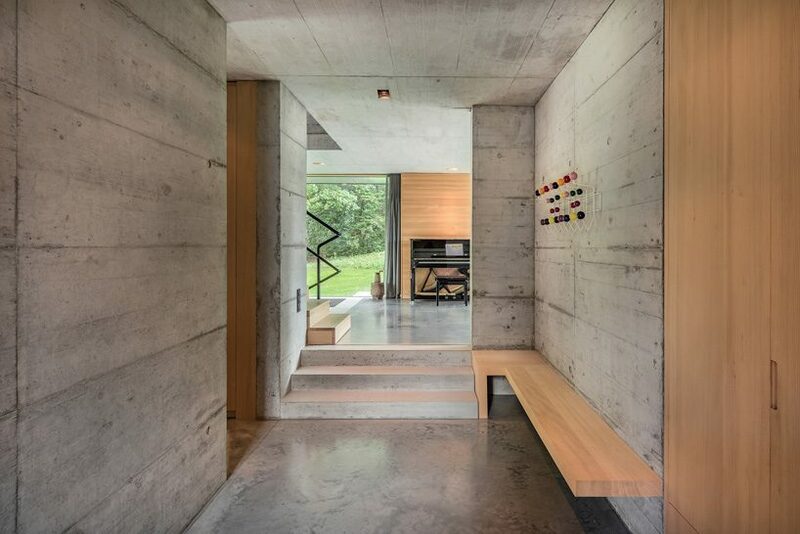 HHF architects was founded in 2003 by tilo herlach, simon hartmann and simon frommenwiler. 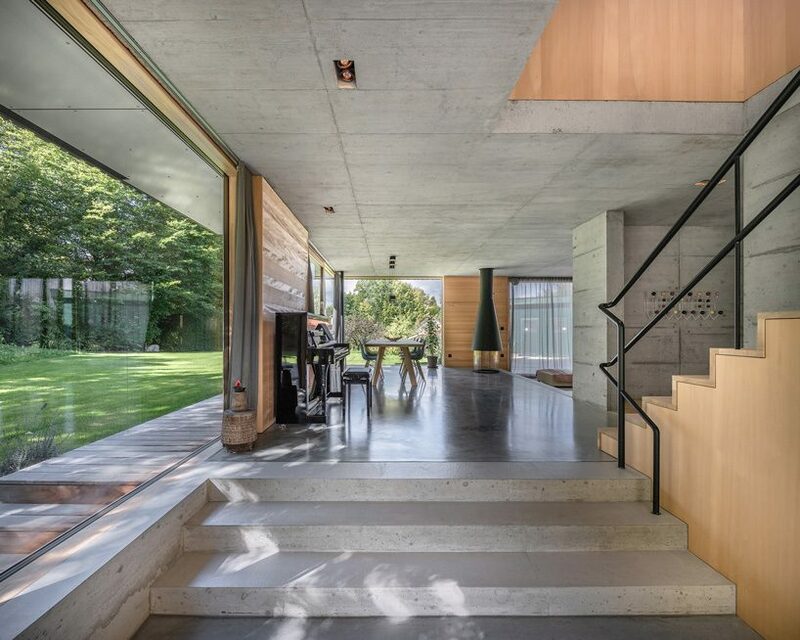 since then, HHF has realized numerous projects in switzerland, germany, china, france, mexico and the USA. 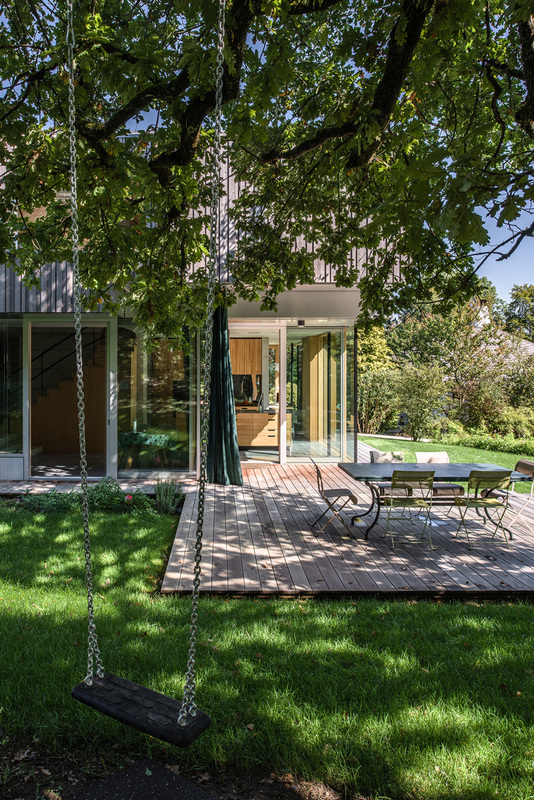 the scope of work ranges from urbanism and large-scale construction to public pavilions and interior design. 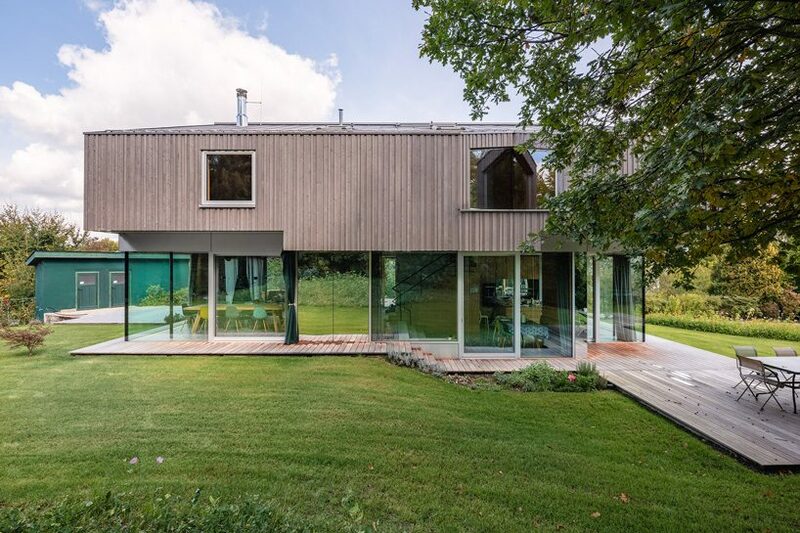 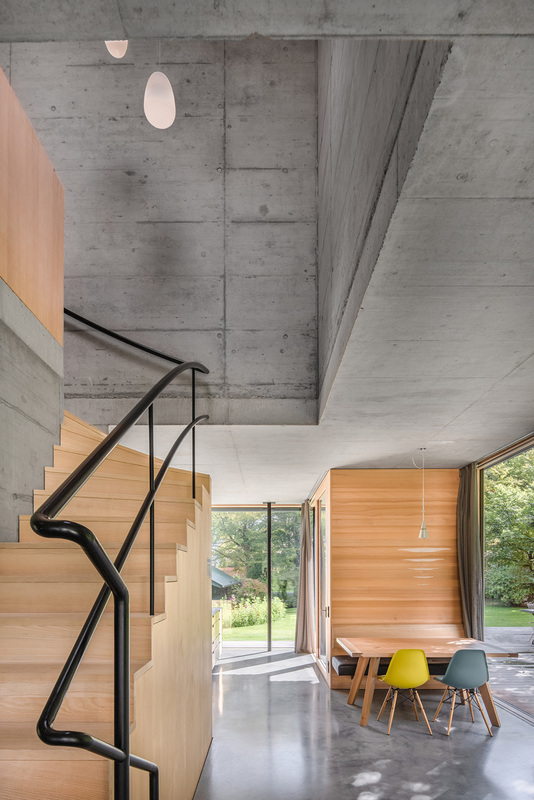 HHF architects has collaborated with the munich firm of jacob & spreng for house H, a private residence in starnberg, germany, for a family of five. 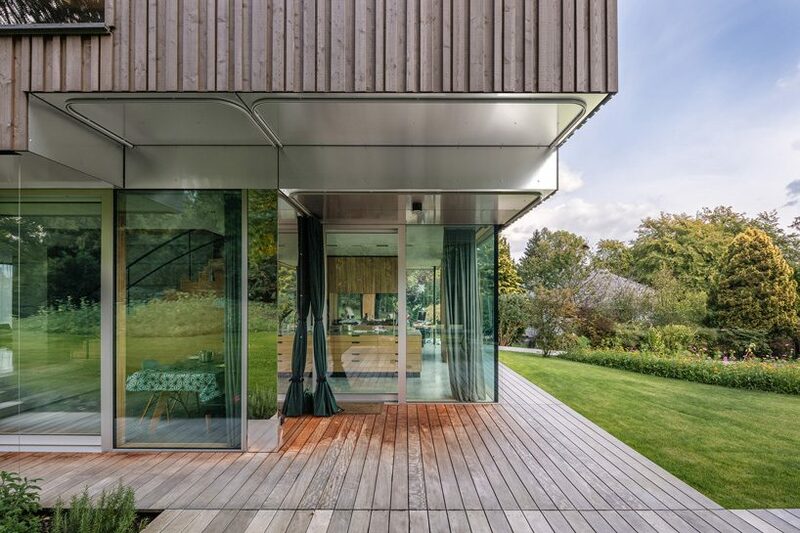 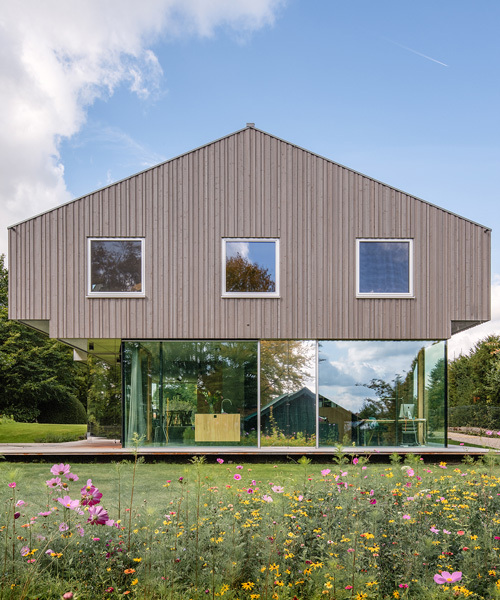 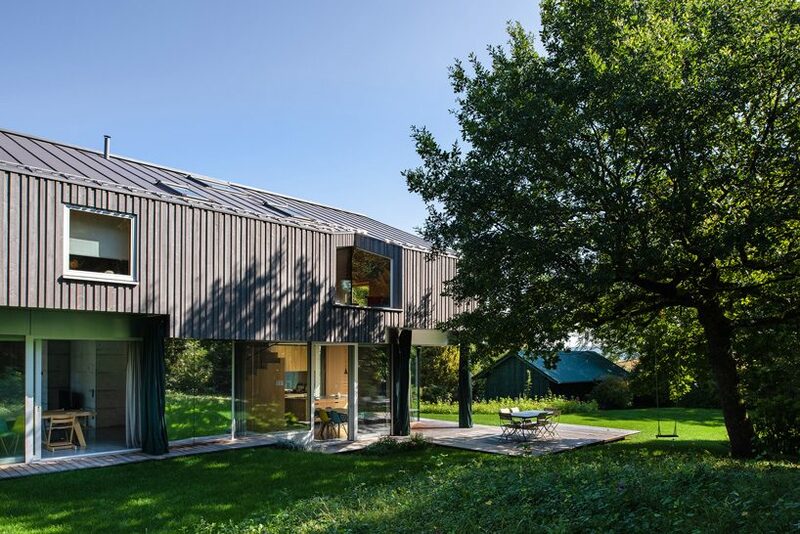 finished in glass and reflective façade elements made of chrome-plated steel – which provide for the necessary degree of privacy – the structure’s open ground floor seems to blend seamlessly with the surrounding landscape. 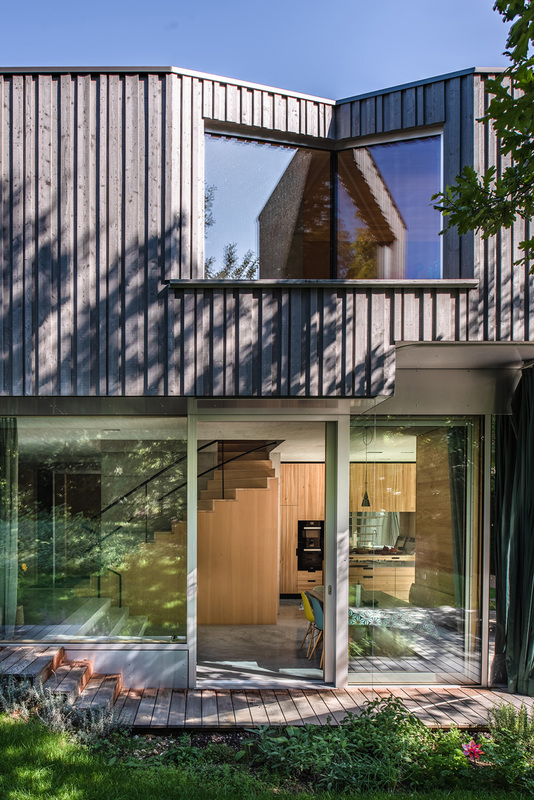 HHF architects and jacob & spreng drew from the property’s topography in developing house H‘s floor slab of the upper level as a residential landscape floating above the terrain. 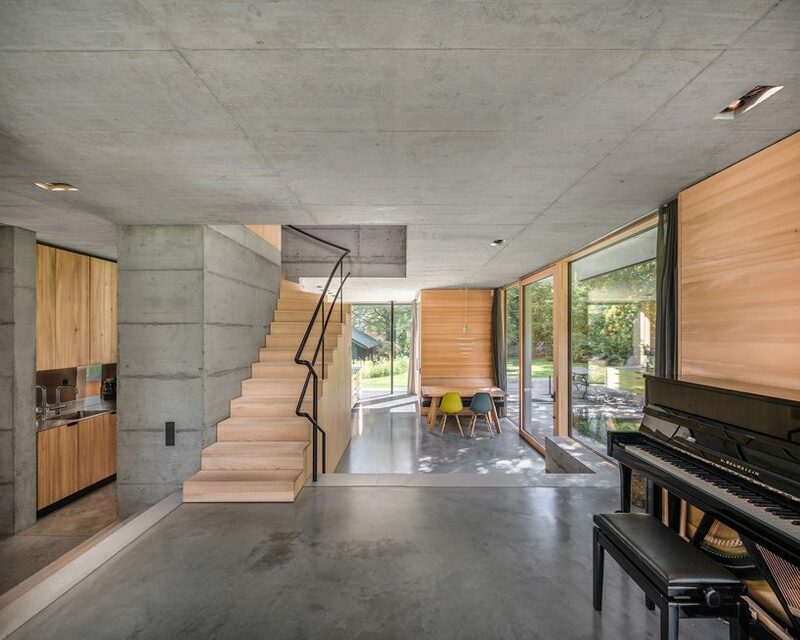 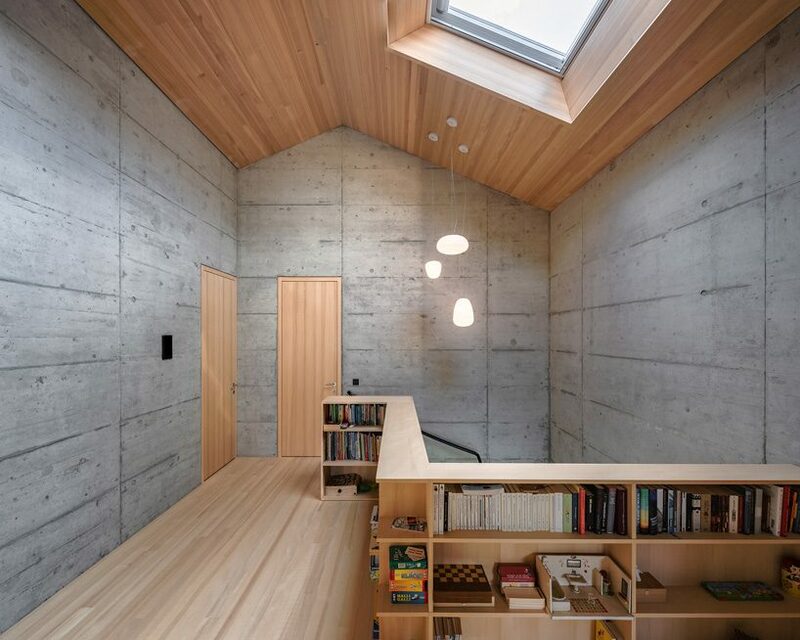 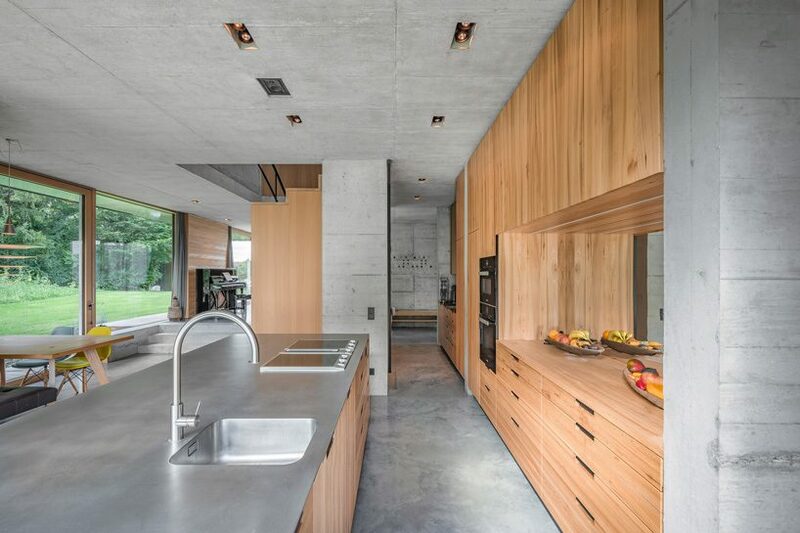 cast in pigmented concrete, the floor incorporates space-defining steps that accommodate height differences between the kitchen area, the dining room, and the living room, while the surrounding wooden deck emphasizes the floating ondition as well as the link between inside and outside. 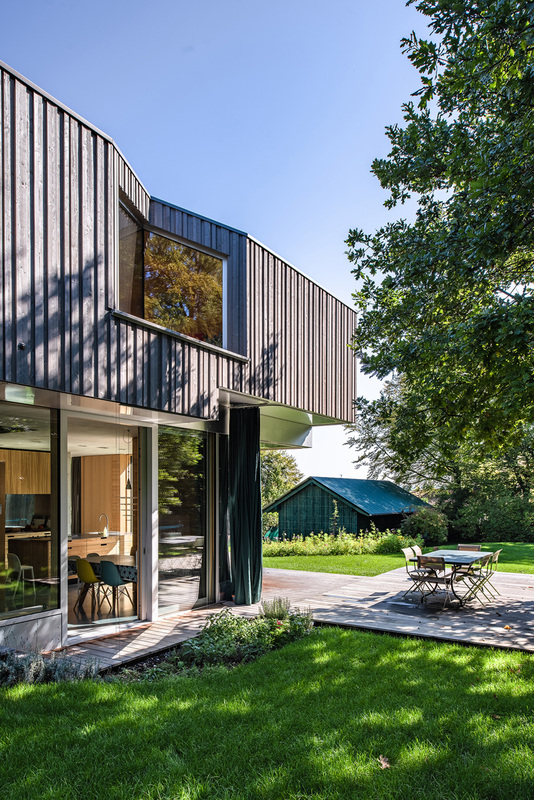 various species of wood have been used in the integrated furniture and the façades, including elm for the kitchen, larch for the facade, and silver fir for the wall cladding, all depending on the best choice for each specific use. 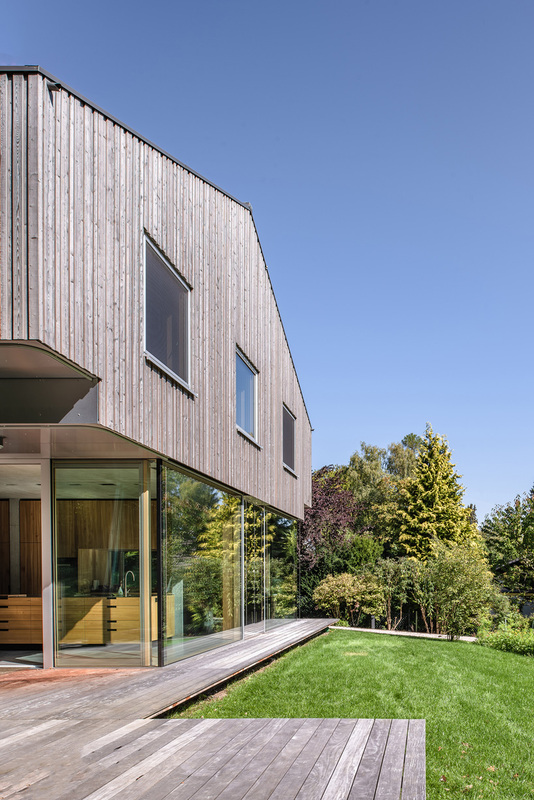 a maple stair takes the residents to the more private rooms on the upper floor, which, clad with rough-cut larch siding, contains three children’s rooms with a shared bathroom and the parents’ bedroom with a private bathroom.